How to change Keyword Settings: Ignore Local Packs, Ignore Featured Snippets and Ignore Share of Voice. If you need to change the settings on a keyword (including the Ignore Local Pack), see the steps below. 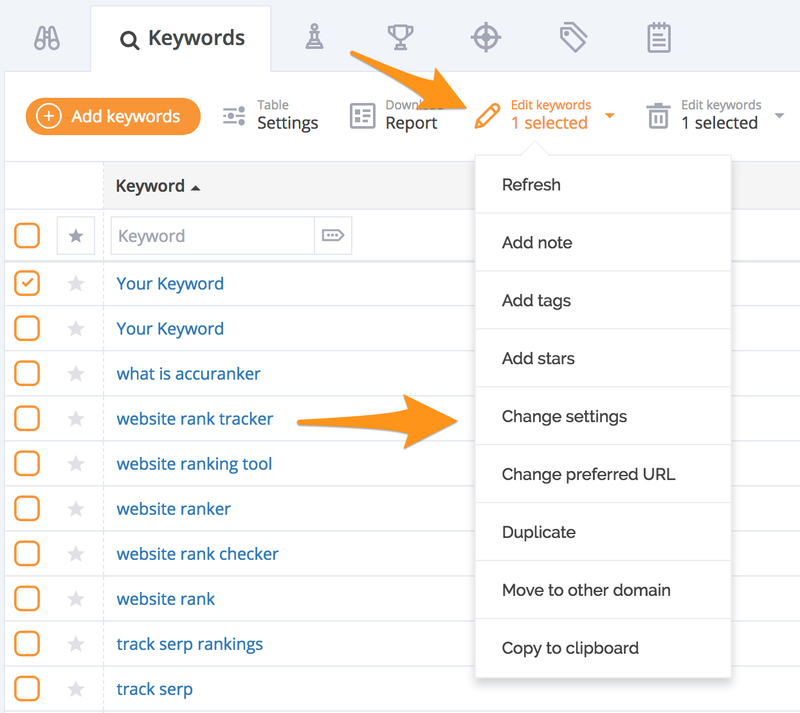 Go to the keywords list and mark the keywords you want to change settings for. Click on "Edit keywords" and select "Change settings". Enable the settings you wish to apply. Ignore in Share of Voice - Do not include this keyword in the Share of Voice calculation. Want to learn more about Local Packs? Click here.